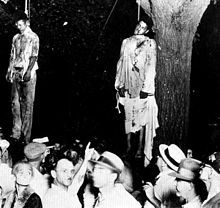 A Documentary detailing the climate during the times Black People were being lynched in the United States at an alarming rate. Hear a First hand account from a Survivor of a lynching. Ida B Wells' role is well documented as well as Abraham Lincoln's true motives. Seldom told, seldom acknowledged, this subject has been hidden for the most part, and this Documentary uncovers the chilling events and key players surrounding these critical times.